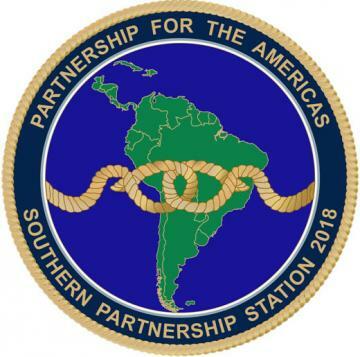 Southern Partnership Station (SPS) is an annual series of U.S. Navy deployments focused on exchanges with regional partner nation militaries and security forces. This year's deployment will visit Colombia, Trinidad and Tobago, Honduras, El Salvador and Panama. SPS 18 is a U.S. Southern Command (USSOUTHCOM) directed operation planned by Commander, U.S. Naval Forces Southern Command /U.S. 4th Fleet and carried out by deployed adaptive force packages (AFPs) under the direction of the Destroyer Squadron 40 staff. 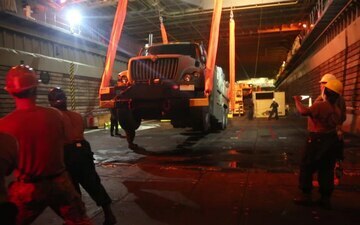 Naval Mobile Construction Battalion 133 prepares for Southern Partnership Station aboard Naval Station Guantanamo Bay, Cuba. 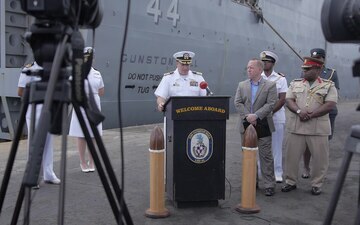 Press Conference following the arrival of USS Gunston Hall (LSD 44) to Port of Spain, Trinidad and Tobago. “Ask the Chief” is a common utterance heard in the United States Navy. Why, you might ask? 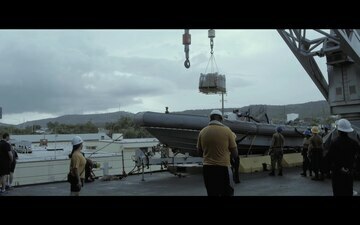 Chief Petty Officers are the backbone of the fleet.